Business writing is all about effective communication and persuasion. Technically-minded people can struggle and many businesses get it wrong, losing their readers in avalanches of acronyms and jungles of technical jargon. It doesn’t have to be that way. In this book you’ll discover how to give your communication skills an upgrade, exploring the tips and tricks that will enable you to write effectively and persuasively for any audience. You’ll discover how to optimise your words for maximum impact, which terrible traps to avoid and how to make your expertise and enthusiasm even more infectious. 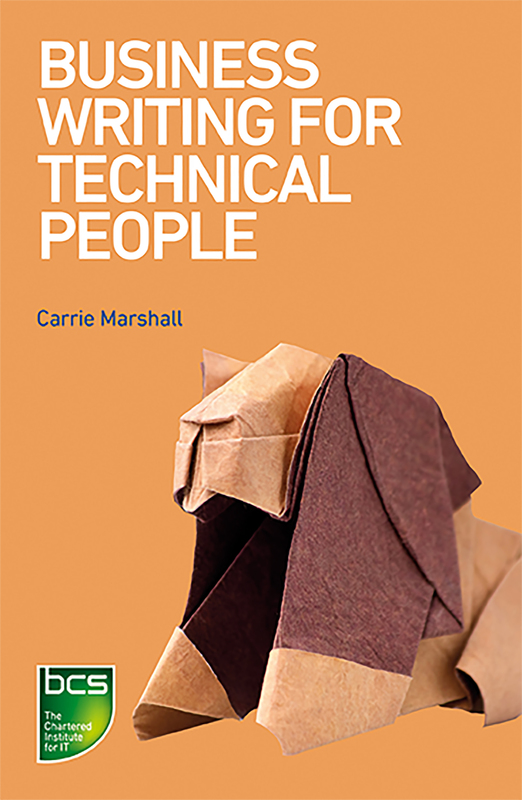 Carrie Marshall is an author and freelance journalist, columnist, copywriter and scriptwriter. She writes features, news and tutorials about technology and has been published in many industry magazines including 'PC Plus', 'Digital Home' and 'What Laptop'. Since 2003, Carrie has also regularly spoken on technology and social media on BBC radio.